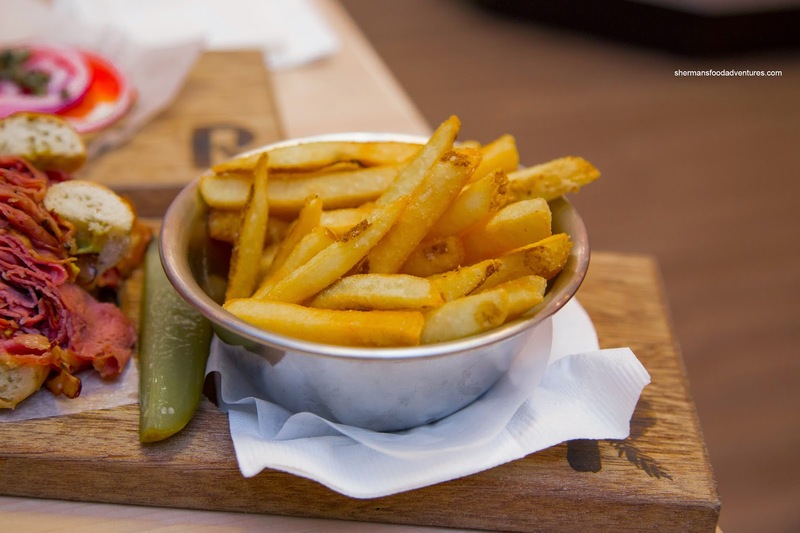 Okay, what are some of the most popular things to eat in Montreal? Poutine would be an obvious one as well as smoked meat and bagels. Well, how about combining the bagel with smoked meat? 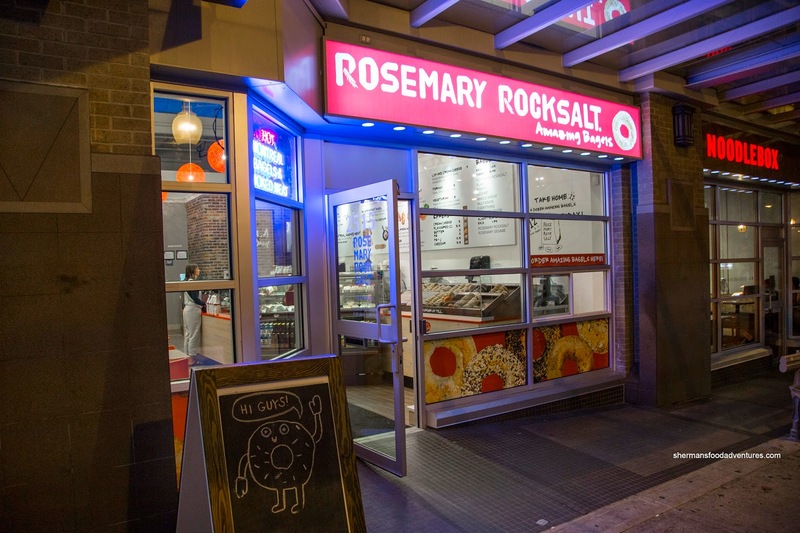 That's the idea behind Rosemary Rocksalt. And the co-founder is none other than Joel Siegal's daughter, Parise. Oh, and if you didn't know already, Joel Siegal is famous for his Montreal-style bagels which are found at his 2 stores in Vancouver. Miss Y and I had a small taste of the Rosemary Rocksalt during Tasting Plates Main Street where we vowed to return for a proper meal. That we did prior to my hockey game where I thought it would be a light enough meal. Go figure, a heavy bagel with fatty meat... Maybe I don't understand the idea of a light meal. 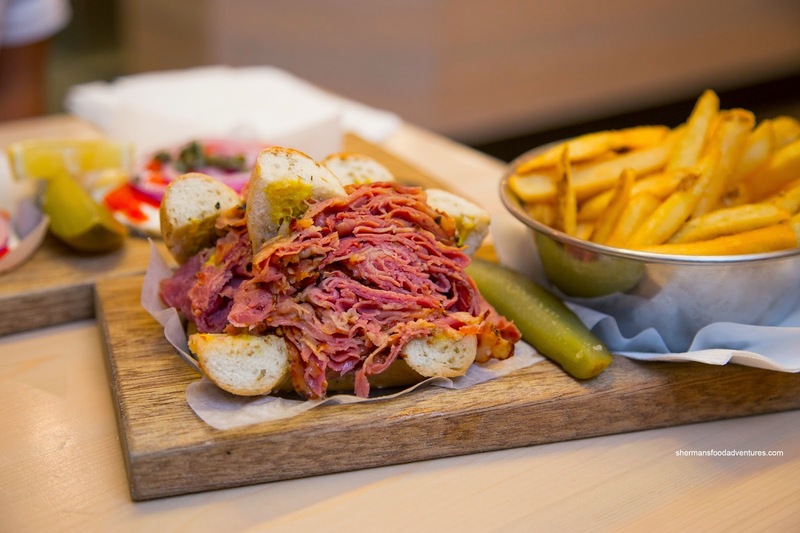 We decided to share a few items including the Large Montreal Smoked Meat on a Rosemary Rocksalt Bagel. The well-marbled meat was moist and needed very little effort to chew. It was nicely cured where it was purposefully salty with some peppery notes. Although I'm not completely convinced smoked meat belongs in a bagel (too chewy and there is a hole in the middle), the bagel itself was firm and toothsome with nice aromatics. Suprisingly, the side of Fries were better than expected. Slightly oversalted, these were lightly crispy with the goodness of soft potato inside. With a not-so-discreet hint, Miss Y seemed to want the Lox & Cream Cheese on an Everything Bagel. The bagel itself had a nice sesame and poppy seed crust on the outside which added a crunchy texture to contrast the chewy inside. With a liberal spread of cream cheese and enough smoked salmon, capers and onion on top, this was pleasant enough. 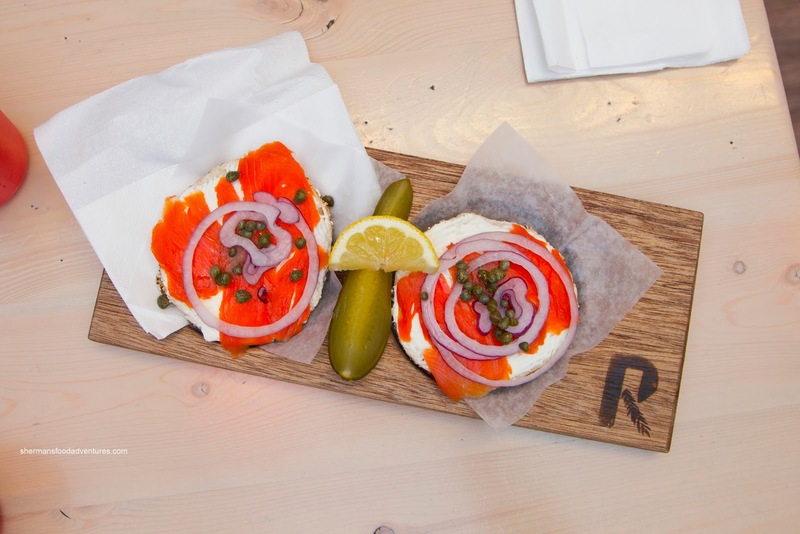 Overall, we thought the bagels at Rosemary Rocksalt were good while the addition of smoked meat was something different. As mentioned before, I'm not totally convinced at the combination since I would prefer light rye. Yet, it isn't necessarily a bad thing either.